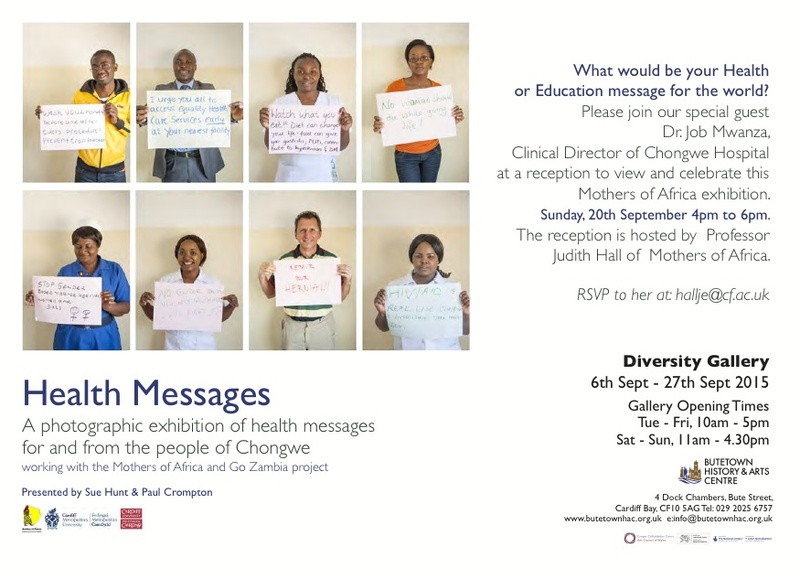 I would like to invite you to view an important exhibition of Health Messages compiled across two continents by Paul Crompton and Sue Hunt. A chance to reflect on how different life can be for the peoples of the world. Please come to our reception 20th September at 4 pm at the Butetown History and Arts Centre. 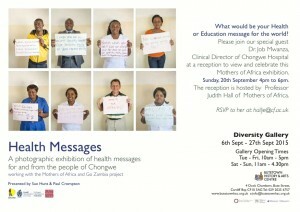 Importantly, Mothers of Africa’s great Zambian collaborator, Dr Job Mwanza ,will be there. Come and meet him, many of you know him. Welcome him to the UK. He is arriving as a Chevening Scholar to take his Masters in Public Health at Cardiff University.